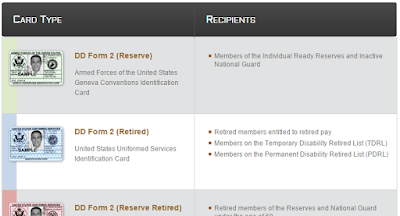 Discounts & Deals 4 Military: Who is eligible to visit the USO's? Who is eligible to visit the USO's? I love USO's. They were first created back in WWII. Today there are over 160 locations in 14 different countries. Within the USA they are in over 27 states. They can be found at airports, military bases, busy city locations. A common question is: Who is eligible to enter the USO's? 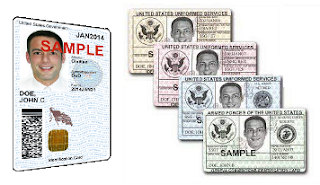 What do all the different cards mean and what are the color differences in the Uniformed Services ID Cards? "Occasionally, donors who are veterans or military retirees contact us to tell us they couldn’t get into a USO airport facility because they didn’t have an active military ID card. We’ve thought about this a great deal, and as much as we’d like to open the doors to all those who have honorably served their nation and risked their lives for our freedom, we just don’t have the resources. We hope you will understand that we must focus our mission on serving the needs of those who need us most – active duty members of the military and their families. For 70 years, that’s been our mission." Thanks for taking the time to read our blog. Happy Memorial Day! Thank you to all the veterans and active duty/reserve members for you service to our country and protecting all of our precious freedoms that we have as Americans.